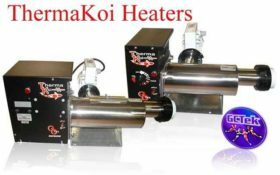 Pond heaters provide koi ponds with many benefits including enjoying your pond the entire year, avoiding freeze damage to your pond as well as the ability to heat cycle your koi when they are in quarantine. 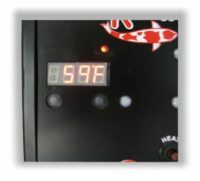 A good rule to follow when choosing a pond heater is 1kw per 1000 gallons of water if using an electric pond heater. 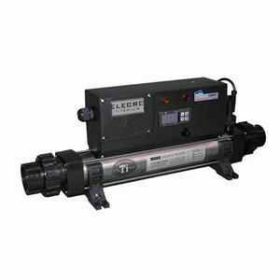 You should also use a cover over your pond as well as bypass any above ground returns like a waterfall for optimal results. 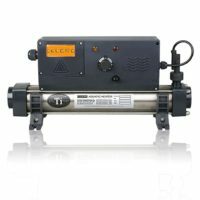 Koi Market carries top brands including Thermakoi, Aqualogic inline pond heaters and Maxitherm Pond heaters.